In today's post, I will be reviewing cosmetic-love.com. My very good friend Merrusa recommended this site to me years ago. She purchased from them and said that shipping was so quick and that their packaging was really good. 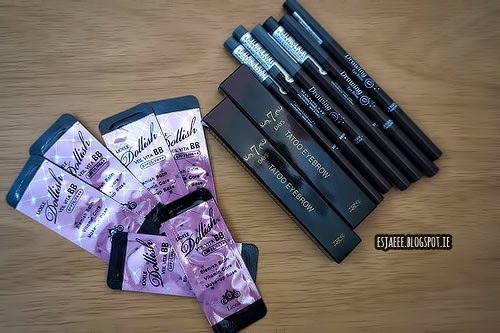 Cosmetic-love.com is an online shopping site that sells Korean cosmetics and offers FREE SHIPPING WORLDWIDE! Many of you beauty junkies out there who are very interested in Korean cosmetics know that any Korean cosmetic online shopping sites that offers free shipping is quite an awesome deal. They offer tracking number for $2.50 just in case you prefer knowing where your purchase is. Their website is so easy to browse through and is visual friendly. You have an option to view the items in different currencies such as dollars, euro and sterling pounds. That feature is a plus for me since I want to know how much I would be paying at the end of my purchase in the currency I am in. I ordered from the website on 28 February which was a Saturday. According to their site that shipping normally takes 10-25 days excluding weekends and holidays. 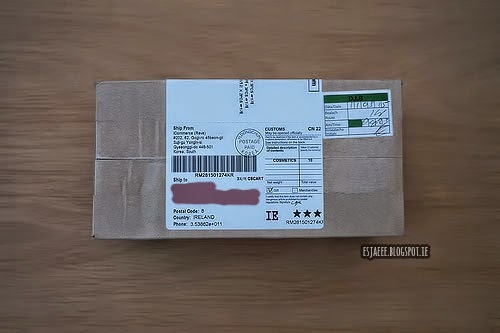 I received this package today (11 March). It took 10 business days for me to receive the package from South Korea to Ireland and I am so pleased with it. The package came in this little box with a sticker at the front with their address, my address and package content written on it. This is what the inside looks like with your purchase and free samples. 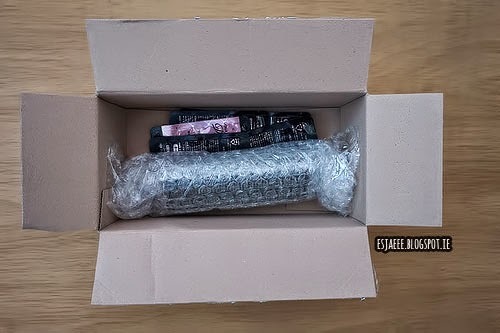 Your purchase is covered with bubble wrap to prevent from any damage. 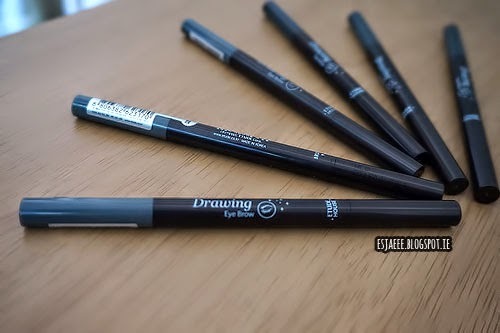 I purchased Etude House's Drawing Eye Brow pencil from them since they were offering a relatively cheaper price when you buy 3 of the eyebrow pencils instead of buying them individually. 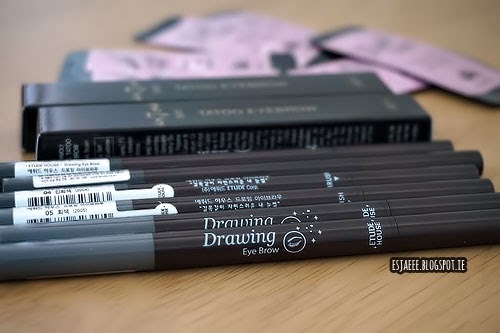 They cost $4.35 each but they have an offer for $7.83 for three brow pencils which was a steal! 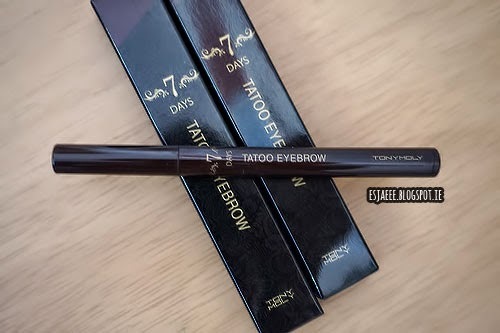 I have seen and read reviews of Tony Moly 7 Day Tattoo Eyebrow that it made me really curious of trying the product out. Again, I bought two of them since the website has an offer. 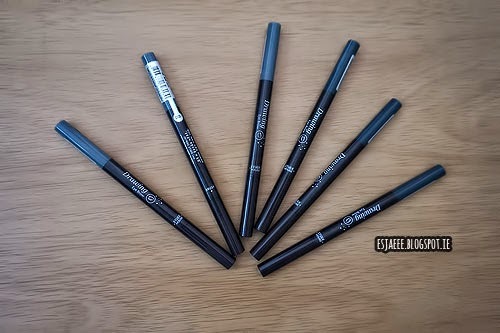 The tattoo eyebrow pen costs $8.94 each but they have an offer of $12.52 for two tattoo eyebrow pens. I was so excited for this product that I am already testing it out! Hopefully I can review it soon. As a free gift, they sent me 6 samples of Lioele Dollish Veil Vita BB cream in shade 1 Gorgeous Purple (Well I tried to read the Hanguel at the back and that was what I understood! Haha) This is what I enjoy and love when I buy at Korean based cosmetics shopping site, they offer free gifts. 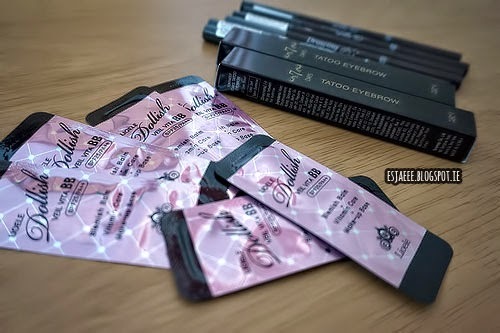 Overall, I would definitely repurchase from them and I really love they have so many items on offer and they also offer a huge range of brands and products. I highly recommend this site to any of you who are interested in purchasing Korean cosmetics online. If you have any questions or any comments, let me know down below! Disclaimer: I have purchased the products with my own money. I am not paid to do this review.